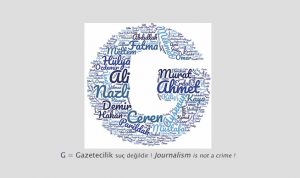 A hundred of delegates and observers representing 49 journalist’s organisations in 35 countries participated, on 2nd June, in Budva, Montenegro, in the Annual Meeting of the European Federation of Journalists (EFJ). They have urged governments in the Balkans to do more to uphold media freedom and journalists’ rights. 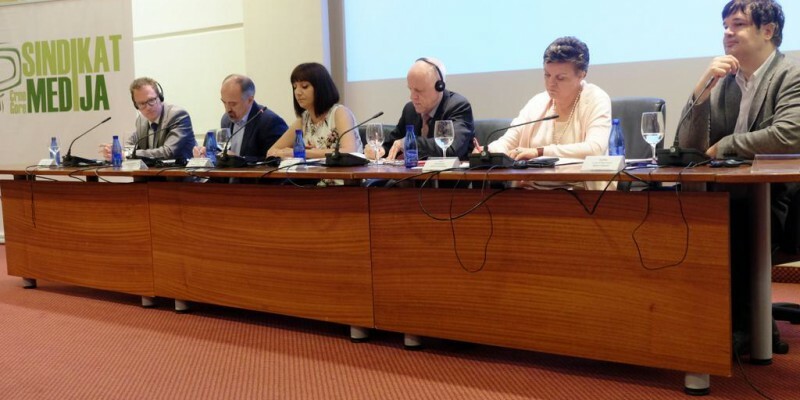 The meeting was hosted by the main EFJ affiliate in the country, the Trade Union Media of Montenegro (TUMM), and sponsored by the OSCE Mission to Montenegro. Some other relevant organisations, including the European Commission (DG Neighborhood and Enlargement negotiations), the Konrad- Adenauer- Stiftung and the South East Europe Media Organisation (SEEMO), have contributed to the debates. “In this part of Europe hosting us today, safety and press freedom is extremely important, said the President of the EFJ, Mogens Blicher Bjerregård. We cannot, we will not accept that the authorities continue violating our colleagues’ rights, setting them behind bars and threaten them to be silent. Last Thursday, an investigative journalist in Croatia was beaten up. Hundreds of journalists face risks like this. As journalists, we will not accept to be threatened to silence. We are here to tell the story, we are here to ensure the development of our democracies. We urge our governments to bring the perpetrators to justice”. The President of TUMM, Marijana Camović, explained that the state of media freedom in the country is so bad that any journalist who could find another job will immediately leave journalism. 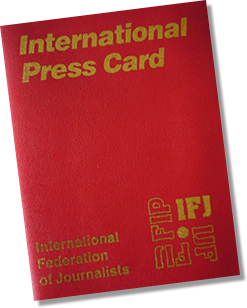 The Annual Meeting of the EFJ has adopted 11 resolutions and 6 statements, including one on media freedom and labour rights in the Balkans, calling on national authorities “to bring justice to journalists who are attacked and intimidated”. Persecuted Macedonian journalist Tomislav Kezarovki was the special guest of the EFJ. He received standing ovations for his moving speech: “Journalists should be the voice of the voiceless and campaigners of freedom of expression”. The delegates welcomed a new EFJ affiliate: the Bosnia & Herzegovina Journalists’ Association (BHJA), based in Sarajevo. 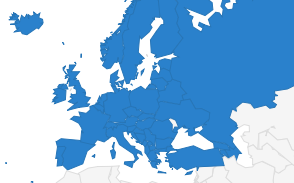 The EFJ now gathers 61 journalists’ organisations in 40 countries, representing over 320,000 journalists.